The last time the team was in Australia for a tournament was during Supanova which was held in Melbourne earlier this year in April. Now we're back again but this time, we scooted over to Sydney to cover TanksAsia Masters National Series Australia to bring everyone updates and results of the competition. 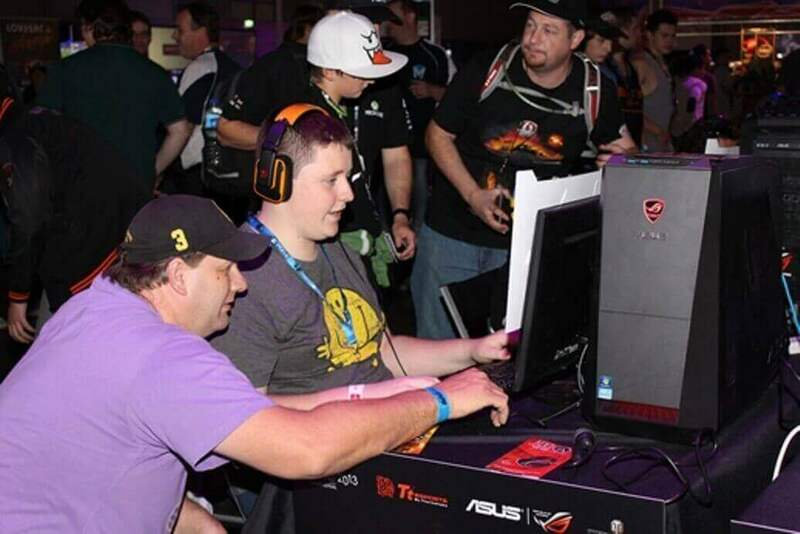 Have a look below at what transpired over the 2 days of tournament held at EBGames Expo. Semi-finals, 04 October, 2013 (Friday) - The weather in Sydney this morning was really chilly and although it was a cooling welcome change from the humidity of Singapore, 13 degree celcius was a tad too much for tropical creatures like us. We wrapped ourselves snugly in our jackets and huddled quickly into the event halls where the temperature sat at a much more comfortable low 20 odd degrees. Weaving through the crowds, we spotted several cosplayers and lots of event attendees queuing up at booths to try their hand at the latest games. Just when we thought that we had gotten lost in the event hall, a loud gun shot rang though the air. That had to be World of Tanks without a doubt, so we followed the echoes of gunshots and managed to trace down the Wargaming.net booth. By then, the first match between Avante Garde and Mindfreak was already over and the next match between Cherry Pickers and SEA Cucumbers was about to start. SEA Cucumbers won their match with a 3-0 score and thus will proceed to the finals to duke it out with Avante Garde for the champion title. An elated Batman (if you remembered, Batman was part of the Filipino team PVP Super Friends which won Season 1) could be heard hooting and shouting once SEA Cucumbers secured their placing for the finals. Seems like the bat is everywhere afterall. A little boy, clearly thrilled about being able to see Batman in the flesh started to tug at his father’s sleeve and point excitedly at the Batman ears which were protruding out from behind the monitor. We can’t wait to see how the sea cucumbers will fare against Avante Garde in the finals tomorrow! 11:00 UTC+10 (01:00 UTC), 05 October, 2013 (Saturday) - We started the day with two friendly matches between players picked randomly from the audience. Our hosts, Greg and Mitch patrolled the crowd to pick out players for their own teams and placed meal bets on their victories. The crowd was really enthusiastic and lots of people volunteered to play, so slots for both teams were filled up quickly. Unfortunately for Greg, his team lost for both matches and he now owes Mitch a chicken dinner. Before the 3rd placing playoffs started, the hosts interviewed Mindfreak to find out about their thoughts about the match against Avante Garde the day before. They conceded that the team was slow to react and AG took advantage and capitalized on this weakness. Mindfreak vowed to do better for today's 3rd placing match and they didn't disappoint. They won their match against Cherry Pickers to take 3rd place in the tournament. Below you can find a summary of the matches for 3rd place playoffs. Game 1, Himmelsdorf, 12:14 UTC+10 (02:14 UTC) - The first match commences. Cherry Pickers start the match by sending scouts out into the center. Mindfreak position themselves in the chapel area to defend. An engagement takes place at C3 and 2 members of MF goes down, but they rallied their remaining troops together and took out CP’s forces one by one by outnumbering their scattered troops. Although they got off to a bad start, Mindfreak managed to recover to take the first match. Cherry Pickers send a T1 scouting down at line 3. Mindfreak moves to the bottom right corner of the map and sets up camp there. A little into the game, a brief fight breaks out and CP trades a tank for 3 of MF's. MF falls back to defend at the train line. Both teams move all their forces into the center at line 3/4 and a fight ensues upon spotting one another. 4 MF and 3 Cherry tanks emerge alive from the encounter and MF tries to herd CP away from their capture point. Chappo from CP takes out another 2 tanks bringing his kill score to 4 but unfortunately gets shut down. MF takes the 2nd match to bring the score to 2:0. Game 3, Ruinberg, 12:51 UTC+10 (02:51 UTC) - Match point for Mindfreak. Both teams exchange fire at E3. MF manages to flank CP from the back to take out 2 tanks. A CP T1 tries to capture the base but gets nudged around by a heavier MF tank which was trying to push it out of the capture point while reloading. Another MF tank falls back to the capture point to provide backup and successfully stops the T1's base capture attempt by taking it out. MF seals the game by eliminating the CP forces to take 3rd place in the tournament. During the interval break, we played more friendly matches between random members of the audience who were all raring to have a go in World of Tanks. Slots were filled up immediately and even the girls wanted to have a shot at the game. All participants got to bring home a goodie bag for their participation. After the friendly matches were over, it was time to get down to business and to start the most anticipated match of the day - The Finals! After a brief introduction of Avante Garde and SEA Cucumbers, both teams settled down into their seats on stage to prepare for the final fight that will determine who gets to represent Australia at the World Cyber Games (WCG) 2013. Let's Battle! Game 1, Steppes, 17:15 UTC+10 (07:15UTC) – The first match of the finals commences. AVG moves out with FreshMeat leading the charge. 2 separate fights ensue at A5 and D7 and 1 tank from AVG and 2 tanks from SEA get destroyed in the fire fight. AVG gathers their forces at C5 and proceeds to surround the SEA tanks, taking them out one at a time. The fight spills over into D3 where a final engagement decided the outcome of the first match. It was a close fight but SEA Cucumber came out on top to take the lead with a score of 1:0. SEA takes to the hills where they can catch a good view of the AVG troops from higher ground. With 2 tanks surrounding an AVG T1, SEA destroys the scout to draw first blood. A huge fight breaks out at F5 and a chase ensues, resulting in the fight being taken to C4 where the AVG forces get wiped out together almost simultaneously. Left with one surviving tank, AVG bingobongo retreats to live to fight another day. The SEA forces advance to capture the base to take another win for the team. AVG splits their forces into 2, pushing on through lines 4 and 8. First contact was established at E9 and a tank from SEA bites the dust. Shortly after, AVG is put at a disadvantageous position following a bad trade off of 5 tanks to 2. The SEA team moves in swiftly to capture the base to earn a score lead over AVG once again. The scouts of both teams spot each other at E3 and shots are exchanged, resulting in both teams losing a tank each. AVG rushes their troops to D2 and SEA reacts instantaneously by moving in to intercept the advancing forces. A final showdown erupts between the teams and SEA emerges the victor by annihilating the entire AVG team to win the tournament. With a final score of 4:2, National Series Australia concluded with Team SEA Cucumbers as the champion of the tournament. 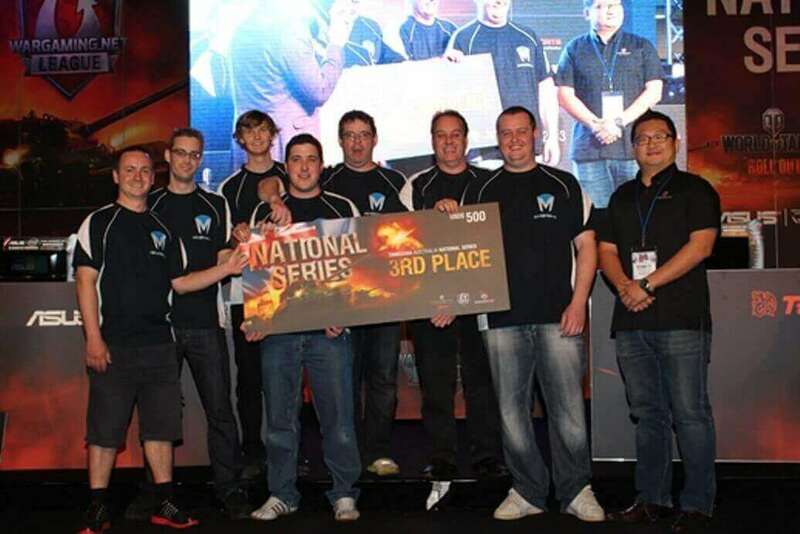 Besides walking away with cash and premium prizes, the team will also get to represent Australia to compete at the World Cyber Games (WCG) 2013. They will also be seeded into TanksAsia Masters Season 2 to battle for fame, prestige and of course, more fantastic cash prizes. Congratulations to all winners and a big shoutout to everyone for supporting the Australian leg of the TanksAsia Masters National Series tournament. Please keep a lookout on the portal for more details of National Series for the remaining 5 regions (Singapore, Malaysia, Taiwan, Philippines and Thailand) and Season 2!